After 12 years at Manchester United, Michael Carrick officially confirmed that he would retire at the end of the 2017/2018 season. The 36-year-old player had a heart procedure in November 2017. It went well, and Carrick soon got back in shape. However, England’s midfielder decided to listen to his body, and end his football career. The news spread quickly, and UK best betting apps covered the story to let punters know about the Carrick’s latest and final decision. Carrick had to think about his football future. The midfielder didn’t take his heart issue lightly, and he decided to hang up his boots as of May this year. However, the thought of quitting his football career got the football player to second-guess his decision. 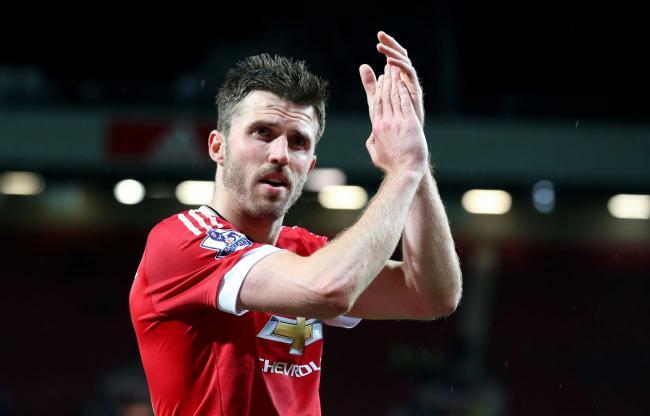 Carrick commented on the doubts he had about him not playing anymore. As Michael explained, he was going back and forth a lot, questioning his decision. “Am I going to carry on playing or not? Is it kind of worth it or not?” Eventually, England’s midfielder came to terms with his initial decision, which was to stop playing once the season is over. There’s one thing that Carrick sees as an upside in this situation. “I got back fit and wanted to finish on my own terms. At least I could decide and not be forced because of that,” the Manchester star explained. So, what’s next for the soon-former Manchester United captain? Michael plans to join Manchester United coaching team. Even though there’s no official confirmation, Carrick is highly likely to join Jose Mourinho’s coaching staff. This is an entirely new field for Michael, and we look forward to seeing him in his new role. We couldn’t agree more with you Rooney.